Okay, I thought I was going to write about nonfiction tips & trick, kind of an expansion of my blog post about writing bios, but honestly, I couldn’t focus enough to come up with anything. It’s 70 degrees in Portland; there’s a perfect breeze, and everybody is sitting out on their patios drinking cocktails. I don’t want to write a blog post. 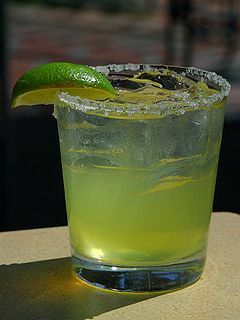 I don’t want to write anything–I want to drink a margarita! Which brings me to a terrifying realization: Guys, it’s almost summer, the season of slack. AAAAAAAHHHH!!!! I don’t have time to slack! I have novels to rewrite, WiPs to whip, a magazine to assist. I can’t drop everything and go camping. I don’t even dare drink a margarita with dinner anymore; booze makes me so sleepy I can barely write my name, let alone edit. Methinks I need to create a summer survival system. 1. Cut yourself a little slack. Hey, I know I just said I didn’t have time to slack, but it’s important to be honest with myself. When it’s 102 degrees, it’s impossible to think. This year, I’m going to expect a smaller word count and I’m not going to get neurotic about it. 2. Schedule some fun. This year, we’re going camping if it kills us. And Saturdays are going to be family fun day. I’ve come to realize that the weeks where I don’t take a day off, I am grumpy and resentful, and I really don’t get that much accomplished. Apparently cocktails and swimming and hiking and all that summer stuff? Actually good for me. 3. Schedule some serious work. This year I’m taking advantage of a killer deal on summer camp to send my child to day camp every weekday for six weeks. On the days I don’t have a dayjob, I’m planning for some writing marathons. If you have kids, you should schedule something similar. A babysitting exchange or some sleepovers will be life-savers. Don’t forget to explain this to your significant other, as well, or you might get sucked into date night. You’re spending lots of extra time together for summer vacation–don’t feel guilty about buying yourself some word time! 4. Keep a regular schedule. This is hard. Even if you don’t have kids, the long days and fluctuating work schedules (everybody is taking some kind of summer vacation, throwing everything off) can mess with your groove. Try to force yourself to eat, sleep, and work at a regular schedule. It will help you keep on task. 5. Reward yourself. It’s hard to work hard when everybody else is having fun. There will be two thousand barbecue invitations this summer. There will be a few camping trip invites. There will be late-night meteor showers. And you’ll be turning down most of these to spend time with your words. Even a saint might start feeling resentful. It’s okay to bribe yourself for your good behavior! Splurge on your favorite fruit. Soak your feet herbal foot soaks. Give in and buy corn nuts! Whatever it takes to keep your mood up, do it. You are making a sacrifice, and it’s okay to console yourself a bit. 6. Stay away from the booze. I don’t know what it is about good weather, but I turn into a total lush. I wake up and I want a beer. I get off work yearning for a daiquiri. And before bed, I’d like some salty, limey tequila shots. But my brain doesn’t work in the presence of booze (and hey, I’m not crazy about the health consequences), so I must resist temptation. This year, I think I’ll be making lots of water-infused-with-herbs to stay cool and hydrated and hopefully help satisfy my summer craving for tasty beverages. 7. Stock up on Orbit gum. Oh wait, that’s just my regular writing must-have. Here’s hoping there are some great new flavors out this season! That’s all I’ve come up with so far. I really want to be more productive this year, so I’m going to stick with my system and see what happens. And if anybody else has any summer survival tips, let me know! Love this – but give up the booze? Eeeeek! For some reason, although I’m normally a nocturnal writer, summer sometimes find me getting up at 4 am to squeeze in word time. Maybe I think better before it gets too hot!